IT infrastructure, renovation and construction make sound planning and oversight critical. Planning and oversight require a systematic and standardized commissioning foundation that can be used and expanded throughout the facilities’ lifecycle. Increasing the accuracy and completeness of this data improves the operational and management efficiency. Enabling operators to see the designer’s “thinking” and absorb the contractor’s knowledge of the actual systems. 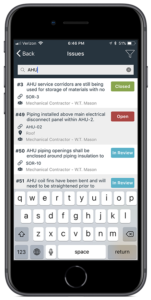 Facility Grid preserves facility knowledge to reduce training time and ensure that efficient operating strategies are maintained during staff turnover or absences. 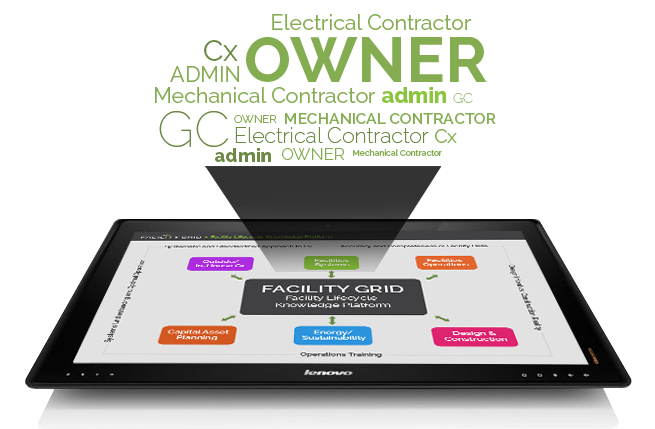 Facility Grid accumulates the most accurate asset data in COBie format, enabling owners to maintain BIM data and relevancy throughout construction and facilities management.